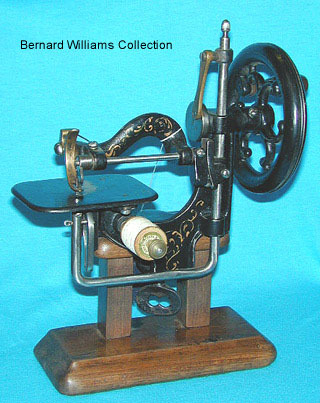 Miniature sewing machine - The "Novelty"
This unusual 1860's miniature was aptly known by the name 'Novelty'. It features a built in table clamp. The needle penetrates the stitch plate from below to perform a chain stitch.